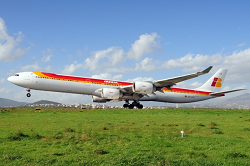 Scheduled Iberia flight from Madrid nearly brushed the fence at San Juan-J. 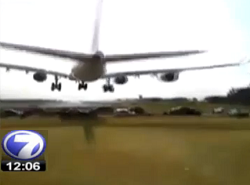 Santamaria Airport coming in to land flying extremely low. 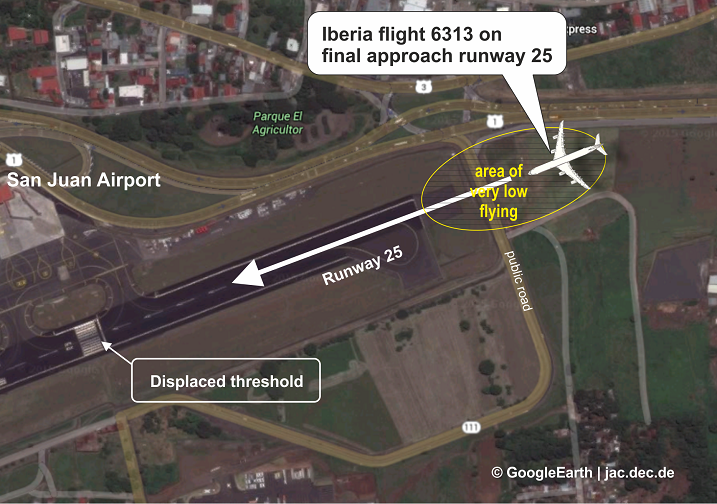 On final approach to runway 25 at Juan Santamaria Airport, the Airbus A340 descended below the propper approach path until it became very close to the ground on short final about 1 km east of the runway. 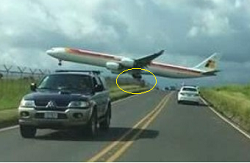 The aircraft cleared a busy streeet only my a small margin and nearly brushed the airport boundary fence before the pilots were able to make a safe landing. 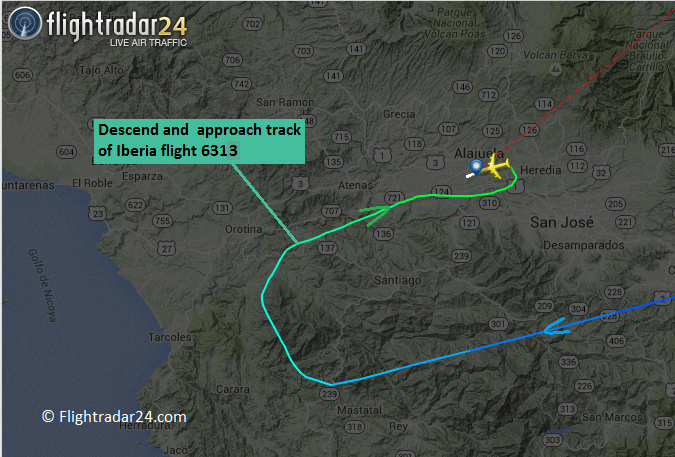 The Airbus A340-600 is by far the largest scheduled aircraft allowed to fly to San Juan Airport.